It's October and, hopefully, the el niño rains that we've heard so much about are on their way. I've started to think about soup again. 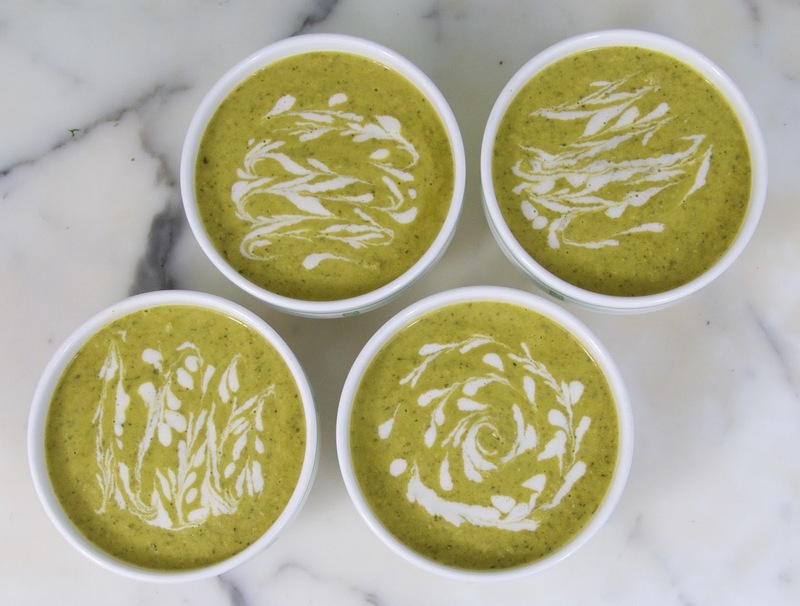 A big steaming bowl of hearty soup is one of my favorite fall dinners. 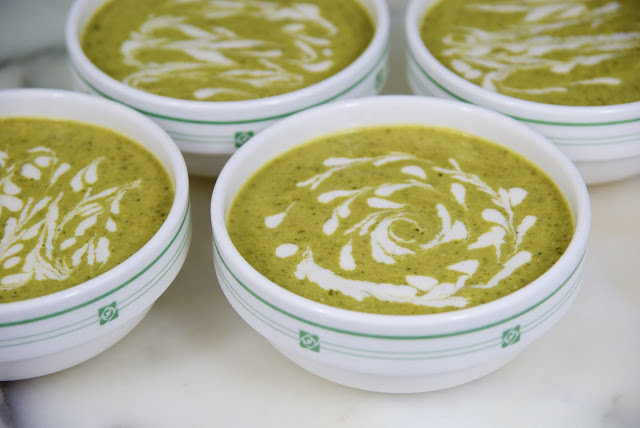 What makes this broccoli soup different is that the cream is made from cashews. When you soak raw cashews in water for an hour or so and then blend them with water, you end up with a wonderful creme that's an excellent substitute for dairy cream in any soup or sauce. This broccoli soup is very easy to make. You start by soaking the cashews an hour ahead of time. 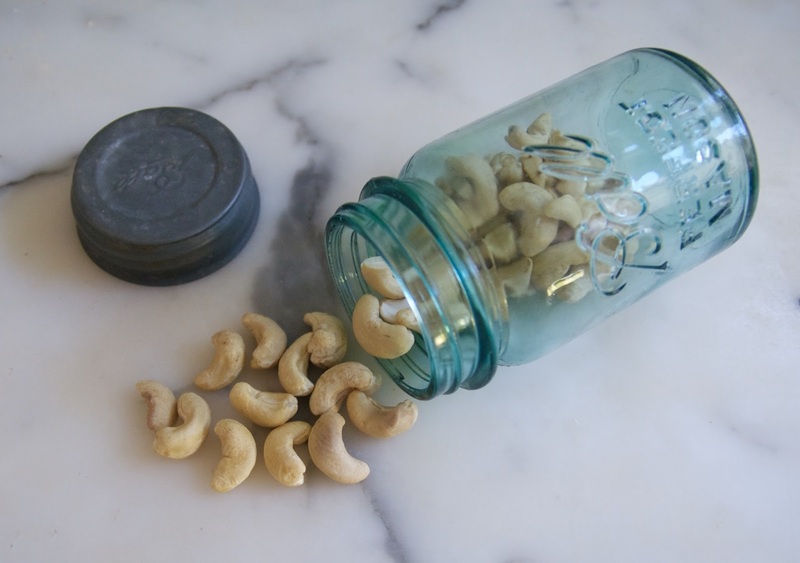 Be sure you're using raw cashews, not roasted ones. Then, you saute some onion and garlic and add the chopped broccoli. I also added a chopped carrot to give the soup a little sweetness. Next, you add some water and broth and let the whole thing simmer for 8 minutes. 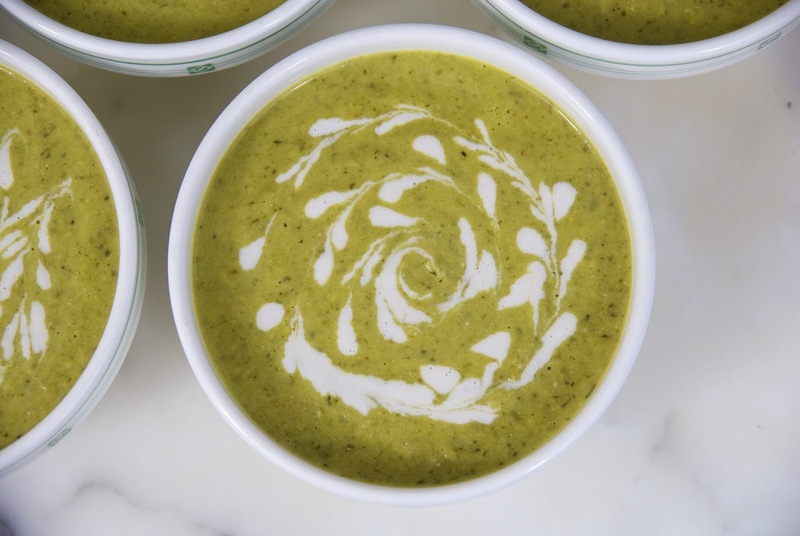 Finally, you puree the veggies in a blender and add the cashew creme. If you don't have a high speed blender, like a Blendtec or Vitamix, I suggest your puree the veggies in two batches rather than one, unless you want it chunky. The longer you blend it, the smoother it will be. (I did it for 30 seconds at a low speed.) Mix most of the cashew creme into the soup, reserving a little to decorate the top. I drizzled the creme on top of the soup and then swirled is around with a chop stick. You can use a bamboo skewer or even a toothpick. You can get creative here. Swirl the creme in circles or back and forth to create different patterns. Have fun with it. Put the cashews in a bowl and cover with water for an hour. Saute for 4 minutes, stirring every minute or so. Add the broccoli and carrot. Saute for 5 minutes, stirring every minute or so. Add the broth and 1 cup of water and turn the heat to high. Bring the liquid to a boil, cover the pot, turn the heat to low. Simmer the soup for 8 minutes. Put them in a blender with 3/4 cup water and puree until creamy and smooth. Pour the cashew creme into a cup with a pouring spout. Puree on low for about 30 seconds. Pour the soup and most of the cashew creme back into the pot. Reheat for a minute or two. 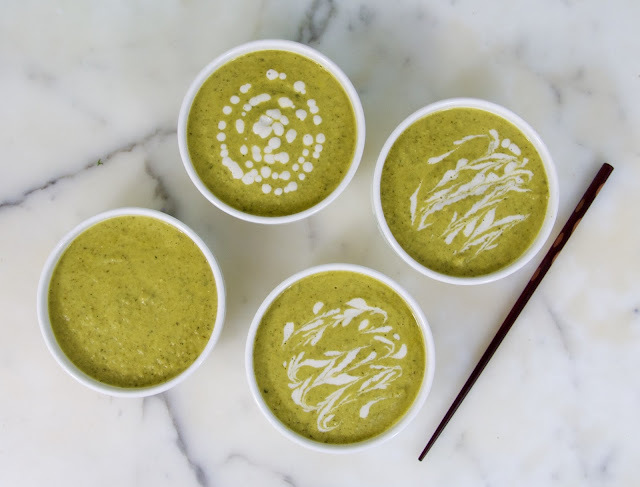 Drizzle the remaining creme on top of the soup and swirl with a chop stick.